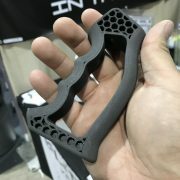 While walking down the aisles of the Great American Outdoor Show, I have to admit I was suckered into Future Forged’s tag line “Lightest AR Grip In The World”.It drew me in and when I picked up their Vektor grip, it truly was the lightest weight grip I have ever felt. As soon as I […] Read More … The post [GAOS 2018] Future Forged 1.2oz Light Weight AR Grip And AFG appeared first on The Firearm Blog. At the GAOS I came across Taylor’s & Company. 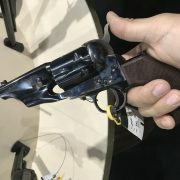 Normally old timey black powder revolvers does not interest me until I saw something that caught my attention. I present their 1860 Army Snub Nose. It is an 1860 Army revolver with a short barrel and birdshead grip. The revolver is manufactured by Pietta. The new […] Read More … The post [GAOS] 1860 Army Snub Nose Black Powder Revolver appeared first on The Firearm Blog. At the Great American Outdoor Show I came across Nite Site. I was reminded of the prototype Skoped Vision by Phone Skope where you can record what your scope sees. This is a similar concept but instead of using a phone it is a dedicated camera system with a view screen that can see in […] Read More … The post [GAOS 2018] Nite Site Night Vision IR Scope Camera appeared first on The Firearm Blog. 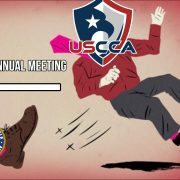 In a press release issued yesterday, it was revealed that the USCCA has been disinvited to NRA Annual Meeting. The press release comes less than two weeks from the show and cited no reason other than s wild guess as to the NRA‘s motives. USCCA stated in the press release that their best guess is […] Read More … The post BREAKING: USCCA Has Been Disinvited To NRA Annual Meeting appeared first on The Firearm Blog. Wise Men Company works with IC13 Arms to make their Signet Rings. Somewhat like the Thyrm Swithback adds a ring to a flashlight, the Signet adds a ring to your Spyderco. 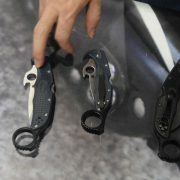 The Signet Ring is a replacement for the backers of Spyderco Delica 4, Endura 4, and the Matriarch 2. It is machined from aircraft […] Read More … The post [GAOS] Wise Men Co. Signet Ring appeared first on The Firearm Blog. 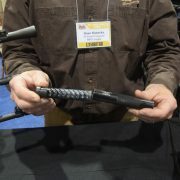 At this recent Great American Outdoor Show, Inland Mfg had their PM-22 suppressor. 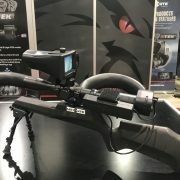 Something we missed at Shot Show 2017. The PM-22 is a polymer monocore rimfire suppressor. Since it is polymer, it is extremely light weight. The entire suppressor only weighs 3.3 oz!! The suppressor is just 5.5″ long and less than 1″ in […] Read More … The post [GAOS] Inland PM-22 Rimfire Suppressor appeared first on The Firearm Blog. 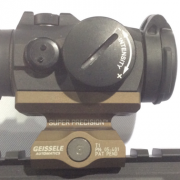 Soldier Systems Daily has some good coverage of two of Geissele’s new products from The Great American Outdoors Show. Both of these are apart of the companies diversifying line of “Super” products. The first one is from the same line of mounts that will support the Trijicon MRO, but this is for the T1/T2 series […] Read More … The post Geissele Aimpoint mount and charging handle appeared first on The Firearm Blog. At the Great American Outdoor Show, in Harrisburg, PA, I came across UM Tactical. Somehow we missed this at SHOT Show. 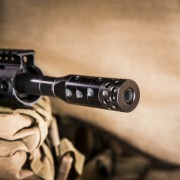 UM Tactical has a tune-able muzzle brake called R.A.G.E. (Rapid Adjustable Gas Expulsion). It retails for only $159.99. The RAGE conforms to 3Gun Nation and USPSA Multi-Gun rules so you should be able to […] Read More … The post [GAO] R.A.G.E Tune-able Muzzle Brake appeared first on The Firearm Blog.